Hello Lovers!! 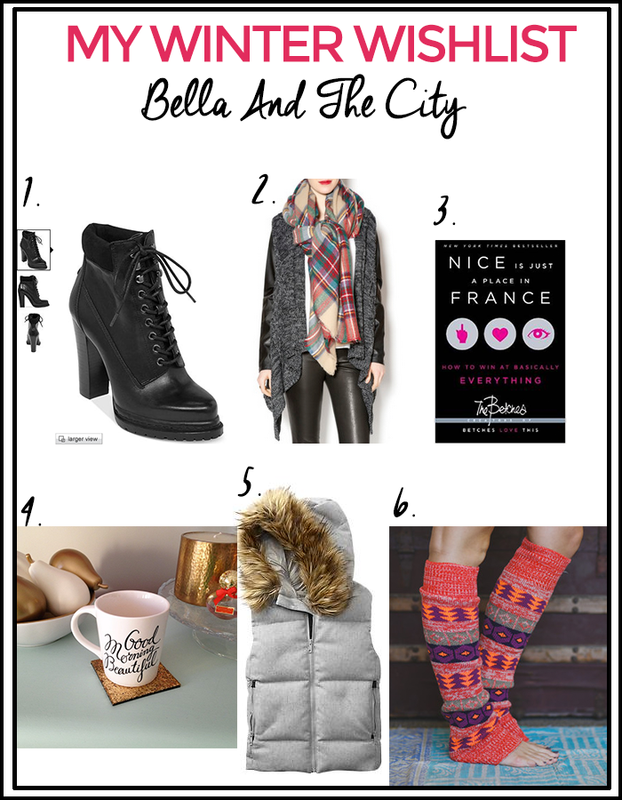 Since I have been in a rut and have not been able to shop due to my current circumstances, thank God that that is only temporary because as soon as I can breathe again here are some winter must haves that I have my eye on. Maude Leather Boots by BCBGeneration // These beauties were introduced to me by Melanie because her dad spoiled her during Christmas and ever since then I have been really really liking these booties. The only have a size 7.5 left and even though I’m an 8, I will have to just squeeze my feet in ’em because why not? Life is short, buy the shoes. Blanket scarf that everyone and their mama has // Why this scarf is popular is beyond me, but I just know I gotta have it! I don’t usually wear a lot of plaid, but this scarf has the perfect blend of winter colors going on, it’s fabulous y’all. Nice Is Just a Place in France: How To Win At Basically Everything // Now that is my kinda book! One of the girls I stalk on IG has this book and based on Amazon’s ratings, it’s a pretty funny book not to be taken too seriously so if you can’t handle sarcasm, then save yourself the money. I just can’t wait to buy this book on Friday! Fur vest // Ok, I’ve always wanted a vest and fur so a vest WITH fur is the perfect combination! Lately I have been obsessing with JLO more than usual and wearing fur makes me feel like I’m channeling my inner JLO so there you go. I wonder if it’s real fur, hope not! because animals. Aztec Leg Warmers // Another chica I stalk on IG wore these beauties and now I want them. Not only that, but I seriously don’t own any leg warmers in my life so it’s about time I change things up a little right? Sony Sound Bar // Because I’m such an avid movie watcher and this cold weather makes it easy to make it an excuse to stay in, I need full sound coming out of my TV. J.Crew Denim Jacket // Last time I had a denim jacket was from Express way back in the day. I think it’s about time I get a new one to replace the old one that I don’t even wear anymore. Bath & Body Champagne Toast Candle // Can’t beat winter if you don’t have candles to keep you warm and making your place smell good. I hear this one smells Ah-MAZING so it’s on my wishlist. White Leather Computer Chair // You guys, I got that ghost chair that’s popular on Pinterest, but it is NOT comfortable. Being a blogger, I need my comfort and this chair is necessary to help me get my creativity out. I just realized I mentioned I stalk girls on IG, it happens. Now who are they? I will not say because I want them all to myself! haha. Only my cool peeps know who they are and my peeps are also following them. Bwahahaha! Also, in case you wanna take a look at my Amazon wishlist where all these items are, go HERE and feel free to buy me something from my wishlist #justthrowingitoutthere. Next Post Valentine’s Goodies Swap on Fleek so Join!